I first introduced my original, caramel chew pop idea, when I made my Caramel Chew Red Apple Pops and Inside Out Caramel "Apples"... which inspired me to make my Caramel Chew Pumpkin Pops for Thanksgiving time... which finally led me to these cute little guys. 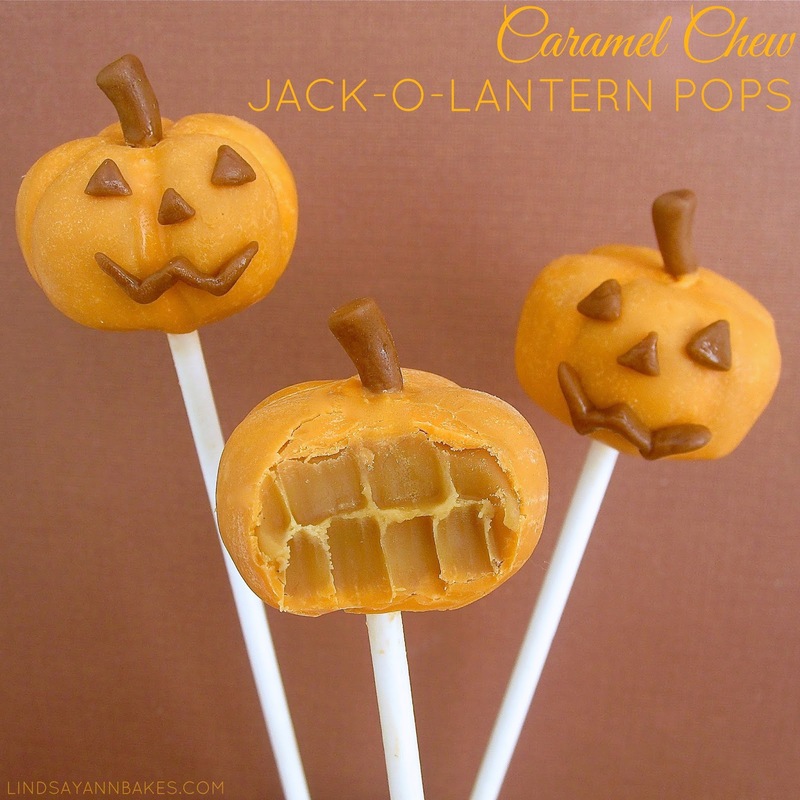 I simply added a cute little jack-o-lantern face to my pumpkin pops and voila! To take these jack-o-lantern pops to the next level, try making them with my 10 Minute Spiced Pumpkin Caramels, for a pumpkin flavored caramel center! Melt orange candy melts according to package. Dip caramel pumpkins into bowl of candy melts. Gently tap the stick on the side of the bowl to let any excess candy coating fall back into the bowl. While candy coating is still wet, attach your tootsie roll stem. Stick pops in a Styrofoam block to dry, or anything you can find around the house (like an upside down egg carton) to make them stand up straight. Place in the refrigerator to dry and set. 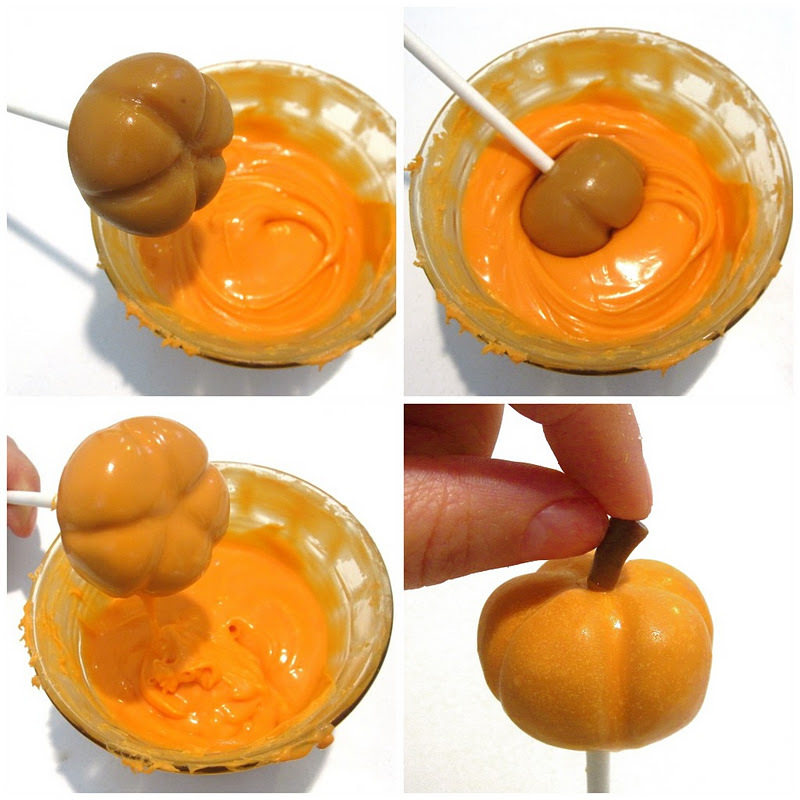 You can even make little "Pumpkin Bites" without the lollipop stick! Mold the face out of tootsie roll (or use and edible ink marker to draw on faces). Attach with your candy melts. Get creative and make all kinds of faces, from spooky to smiley. You can individually wrap your pops in clear plastic bags tied with ribbon, or you can create a display for your pops. To create a display that your pops can stand upright in, take a block of Styrofoam and wrap it in festive wrapping paper or tissue paper. Push the bottom of each stick into the styrofoam for guests to easily grab and enjoy. Perfect for Halloween parties or treats for your friends and co-workers! 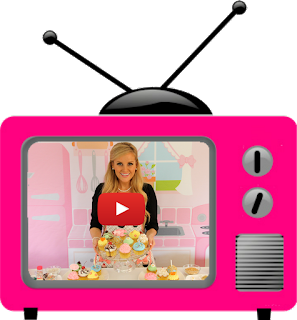 Click to check out more Halloween Recipes & Treats!